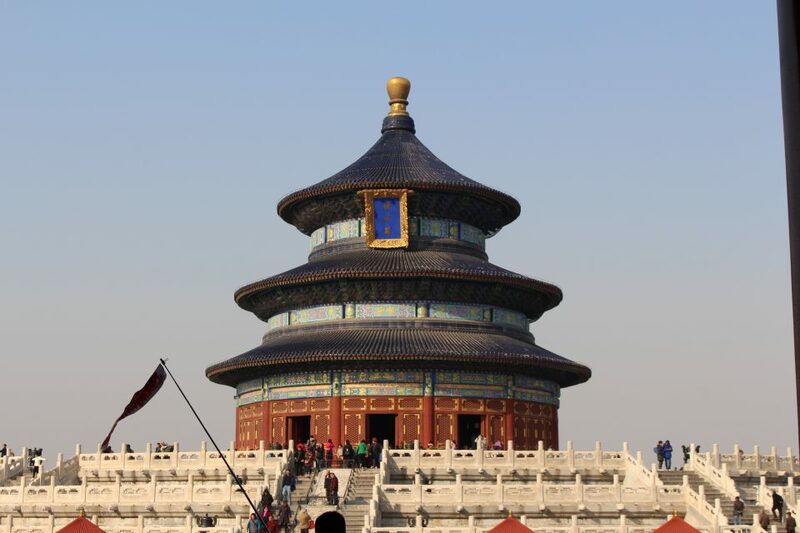 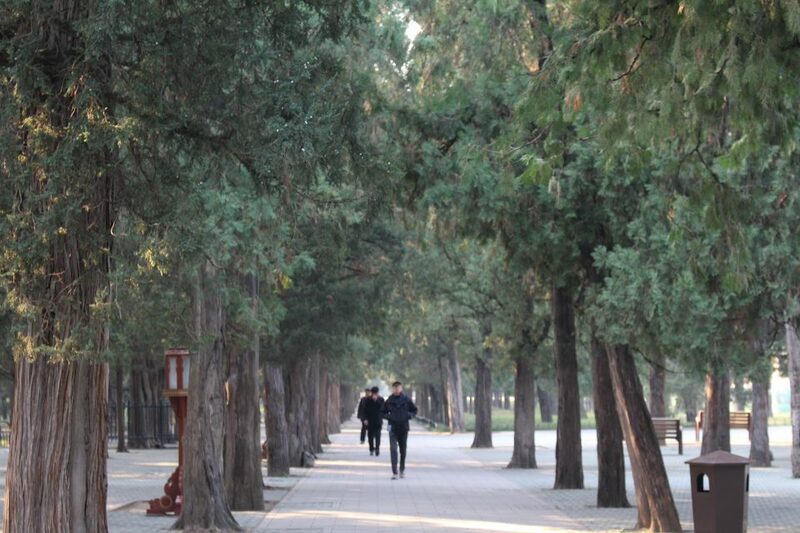 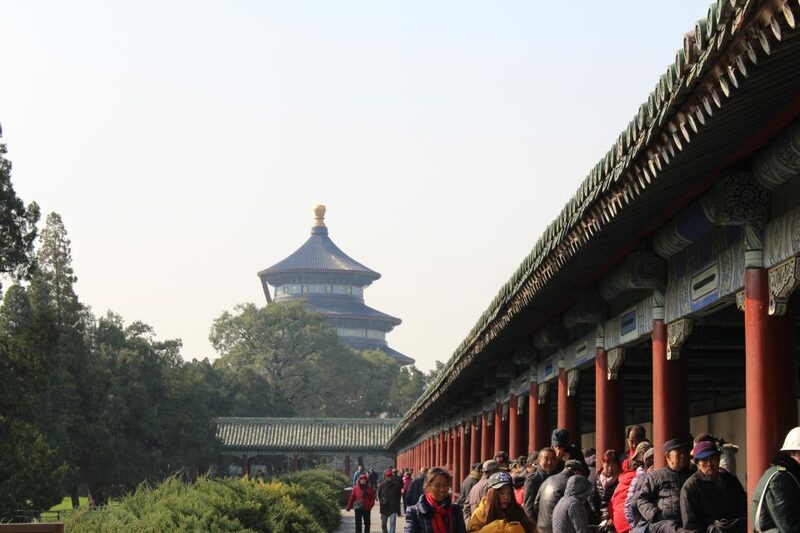 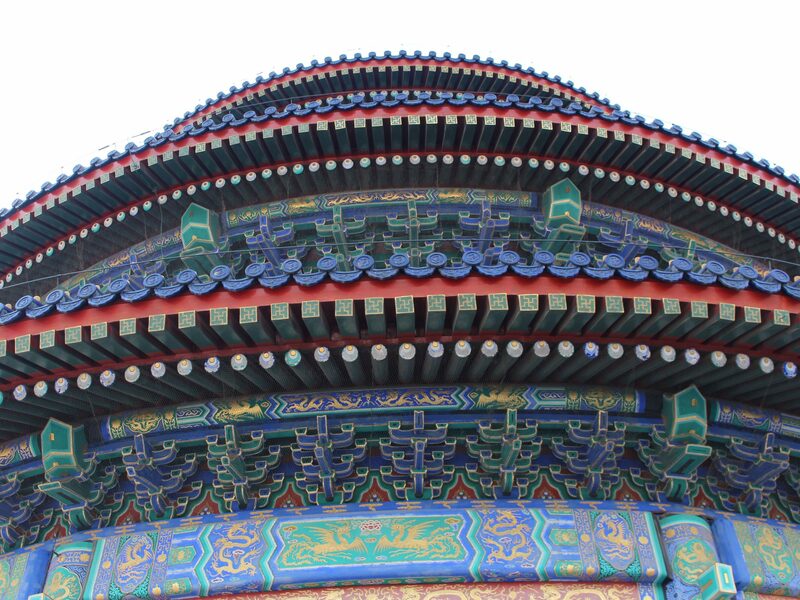 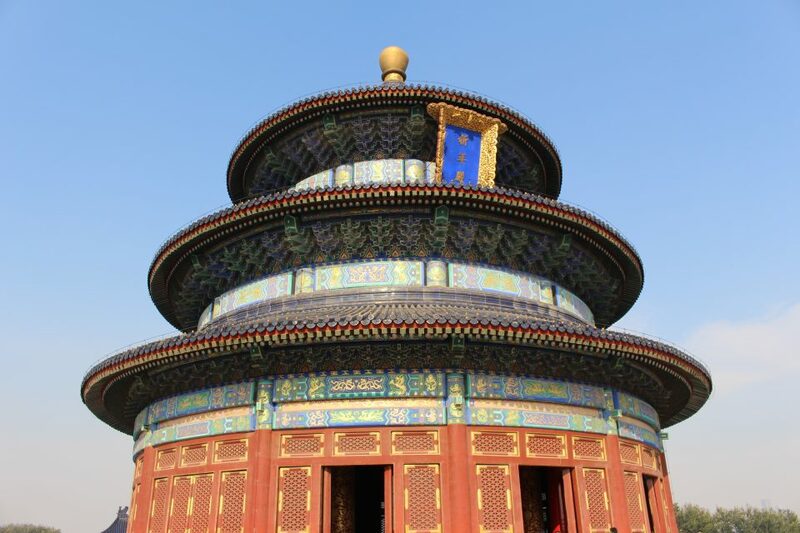 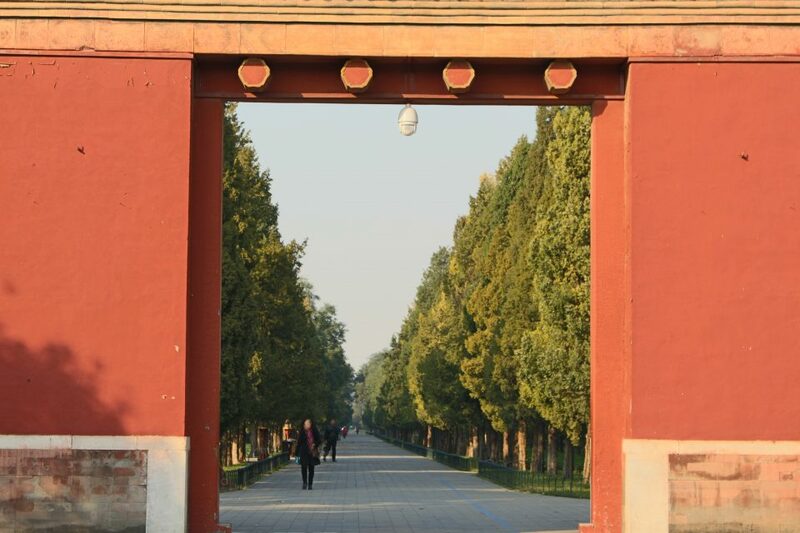 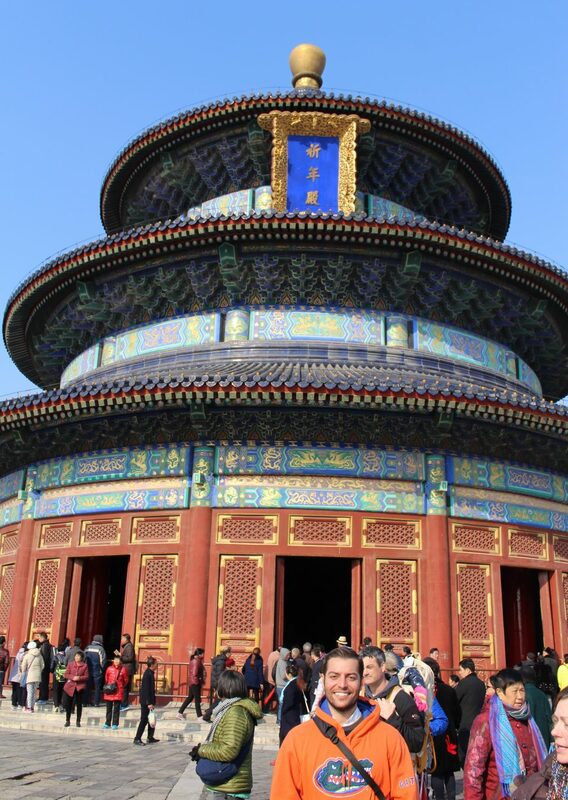 One of the best ways we’ve found to escape the Beijing bustle is to visit the Temple of Heaven. 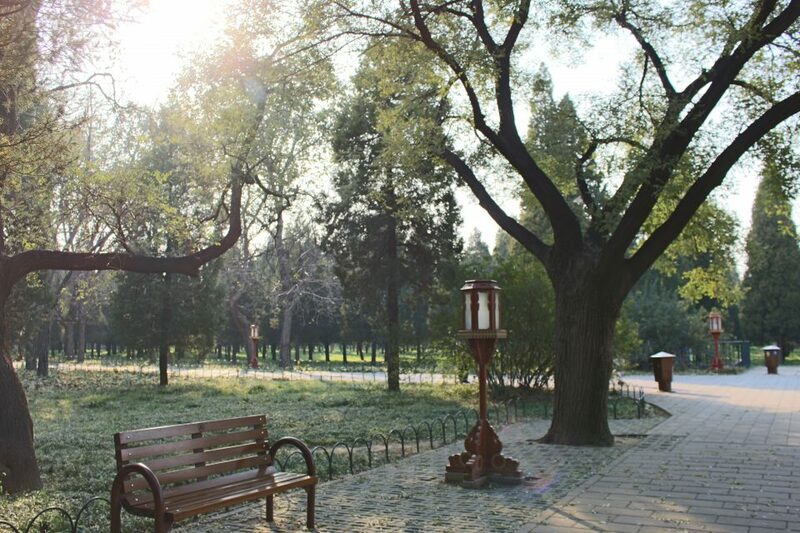 It’s a tranquil, spacious park that really made us feel connected to nature. 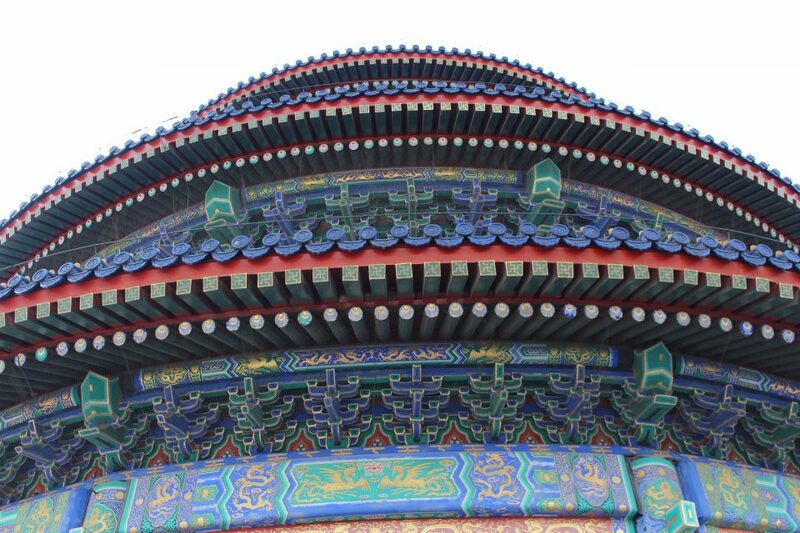 The main building, the Hall of Prayer for Good Harvests, is a Beijing icon and has been used as a backdrop for the Olympics and national marathons. 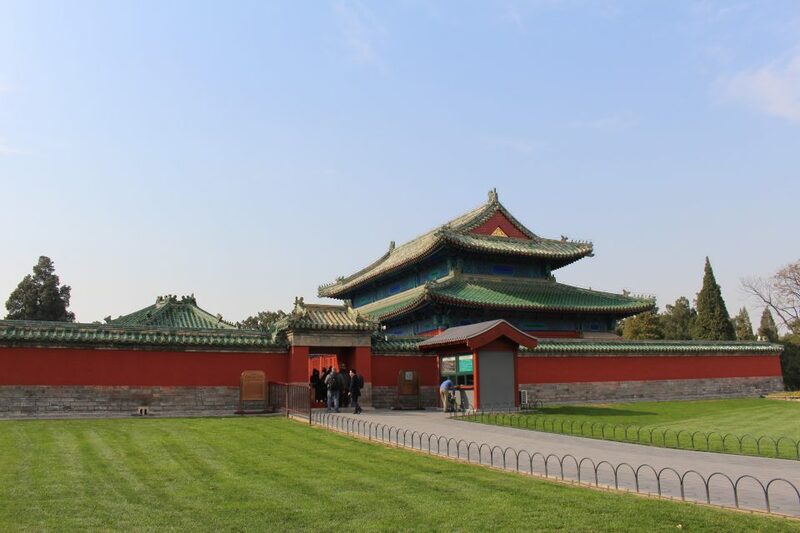 This was one of Jennifer’s favorite buildings in Beijing. 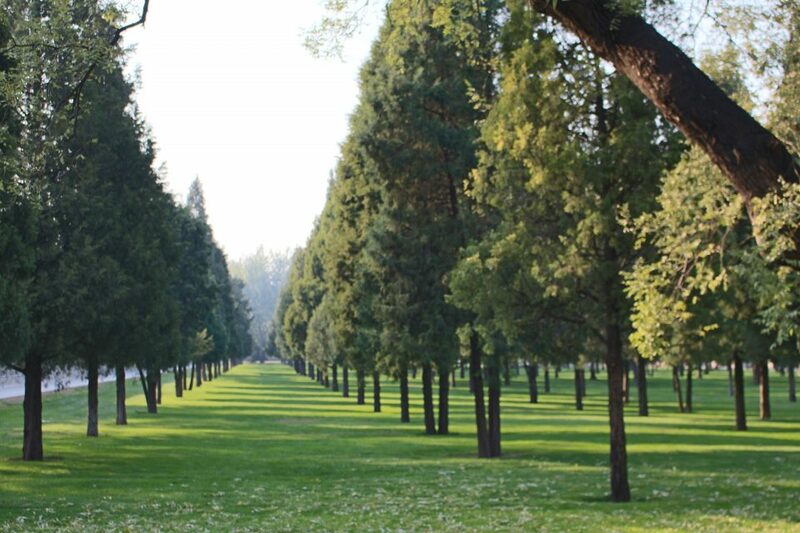 The forested section of the park is completely serene and hypnotizing. 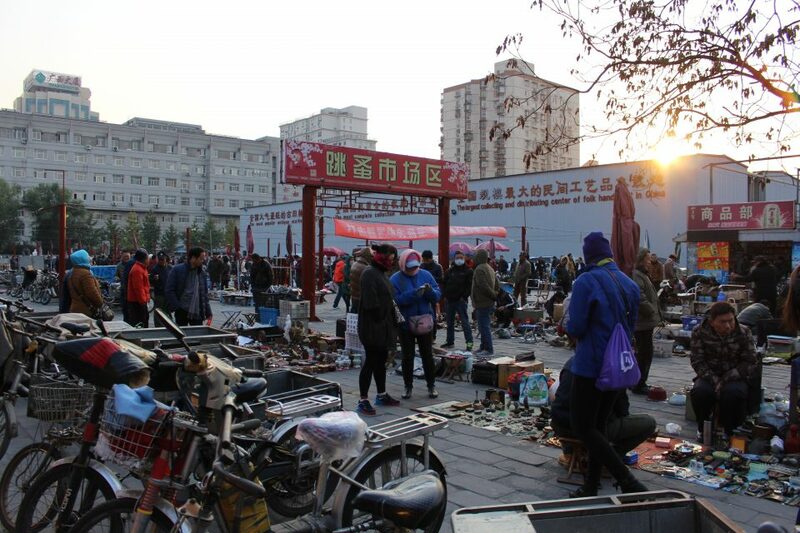 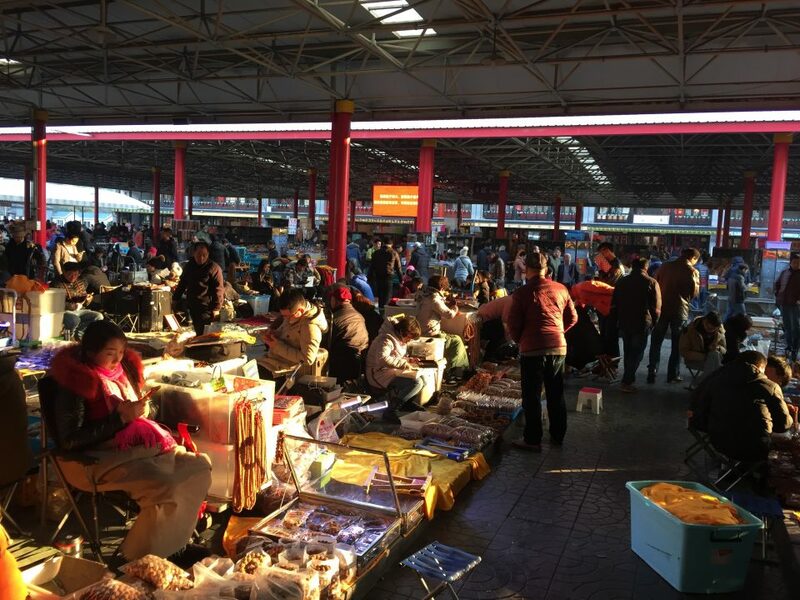 Later, we visited the famed flea market: Panjiayuan. 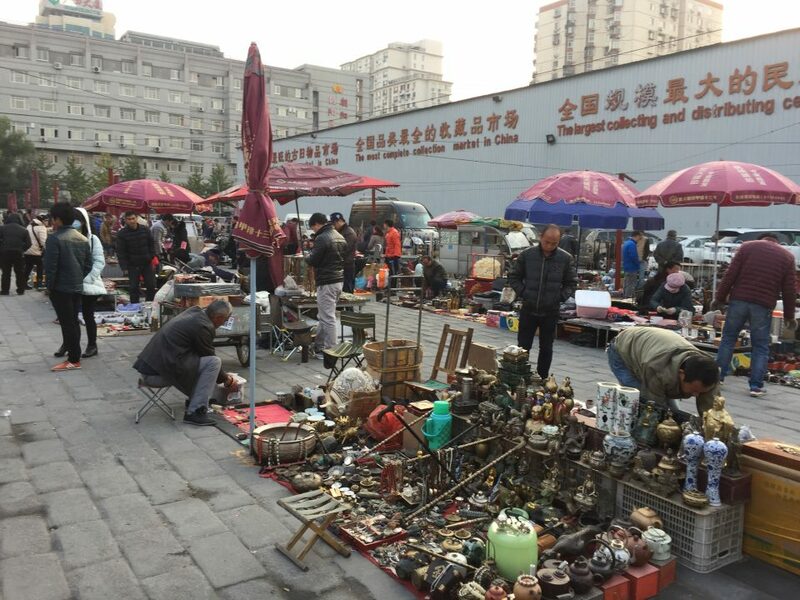 You can buy jewelry, arts, crafts, antiques, and wartime memorabilia. 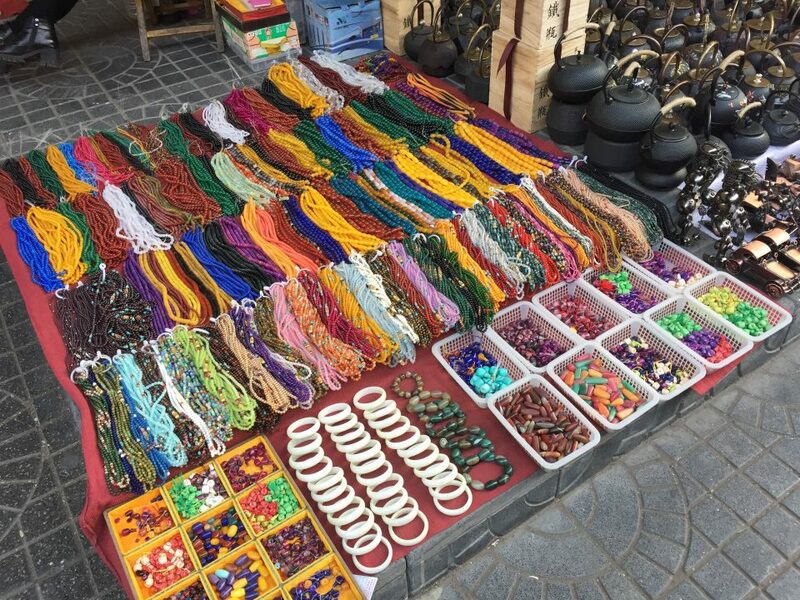 After some extensive haggling, we bought a few pieces from vendors that we love. 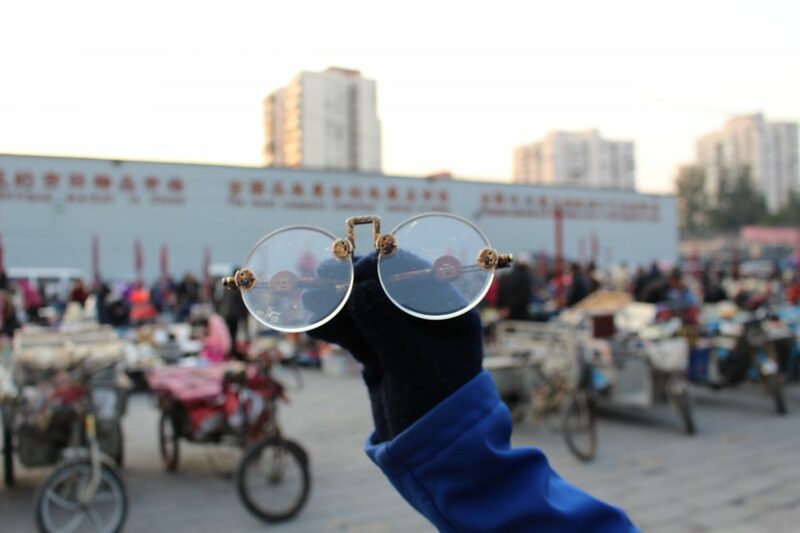 Check out these old-timey glasses we bought after a fun round of haggling!